Tech. It’s just a silly four-letter word in the eyes of some pros, but let’s face it: the right technology tools can help any business owner get a lot more done by streamlining—or even eliminating—old, tired manual and paper processes. Even more, deploying the right technology for your enterprise could help it grow. Here, six pros tell us which go-to tech they use every day. A Sterling, MI franchisee for 360˚ Painting, LLC, Sarah Brandenburg says her estimating technology is her big daily tech necessity. She uses PEP painters estimating software and pairs it with an older-model Bosch Laser Measuring Tool. It’s the perfect combination for estimating simplicity and functionality. “I use the laser to measure the room; then I input the dimensions and select the items to be painted, such as trim, walls, ceiling, etc. I can complete an interior home in 30 minutes. Then I select the proposal box and print out the estimate,” she said. He also likes the Raken app, which is good for note-taking, dailies, snapping photos, managing jobs, running reports, and sharing information with team members. It works in collaboration with other CRM and ERP construction management software as well, he added. His team also utilizes a walkie-talkie app for cell phones called Marco Polo. It allows crew members to take videos and instantly message information to each other. It’s cloud based, too, so the tool has removed the slowdown associated with memory-heavy video transfers. “That’s the problem when you try to send video by text. With this, you don’t have to worry about memory space when you’re out in the field and need to send something,” he added. 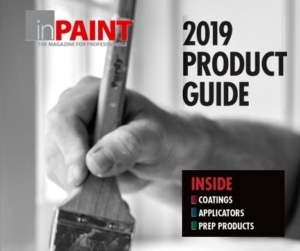 When the owner of Kolor Pros Painting, in Austin, started her company, she had her eyes out for technology that was affordable, required minimal setup time, and had great customer support. Kathleen Myers’ greatest sales tool at her disposal today is Estimate Rocket. The software tool goes far beyond merely simplifying estimating. It can help with task and project management, scheduling, invoicing and payment—all while putting together extremely professional-looking and accurate estimates, she notes. “From the initial inquiry, the customer service was superb,” she added. She appreciated the hands-on approach to how the company walked her through initial set up and stayed in touch with her to make sure needs were met going forward. There were also video tutorials that helped with implementation. “We found Estimate Rocket to be a refreshing partner, bringing back good, old customer service and support,” Myers said. As the managing member of Georgia-based Professional Painting of St. Mary’s, LLC, Sean Irvin turns to the Joist app for estimating and billing—and it offers a whole lot more, too. Irvin used to create Word documents for estimates and contracts; now, with Joist, he programs a price per square foot and simply adds in measurements for quick and professional-looking estimates. He can also set different tax rates for individual line items, and there’s a ton more functionality Joist brings, he says. And, while it’s not a tool that helps him on the job, per se, Irvin says Facebook has proven to be a fantastic marketing tool for his company, at little to no cost. It has also allowed him to meet other painting professionals for great networking opportunities. “I have benefited immensely from seeking the advice of other professionals whose experience exceeds my own, and I’m happy to help others when I am able,” he added. The owner of Schmidt & Co. Painting and Decorating in Chicago admits to “not being a big tech guy by nature,” but he’s changed his ways over the past few years. Today, he relies on technology to run a completely paperless enterprise and “I can run the majority of my business off my iPad and iPhone,” he noted. Schmidt calls the Basecamp project management app the “biggest game changer” for his business, as it allows for the easy exchange of job information between he and his team. He simply creates a project in Basecamp and his crew leaders inform him of daily progress. “I no longer have to visit a job in person to see how it’s progressing. When a project is finished, I archive the project within the program, but can always reactivate it when I need to,” he said. YouCanBook.me allows customers to schedule an estimate directly from his website, syncing directly to Google calendar. And GroupMe is his company’s text chat tool, which streamlines team member communication for sharing job details—even photos—quickly. He also turns to the Box cloud-based file sharing and collaboration suite to upload estimates, notes and other information into the cloud and share them with his team. 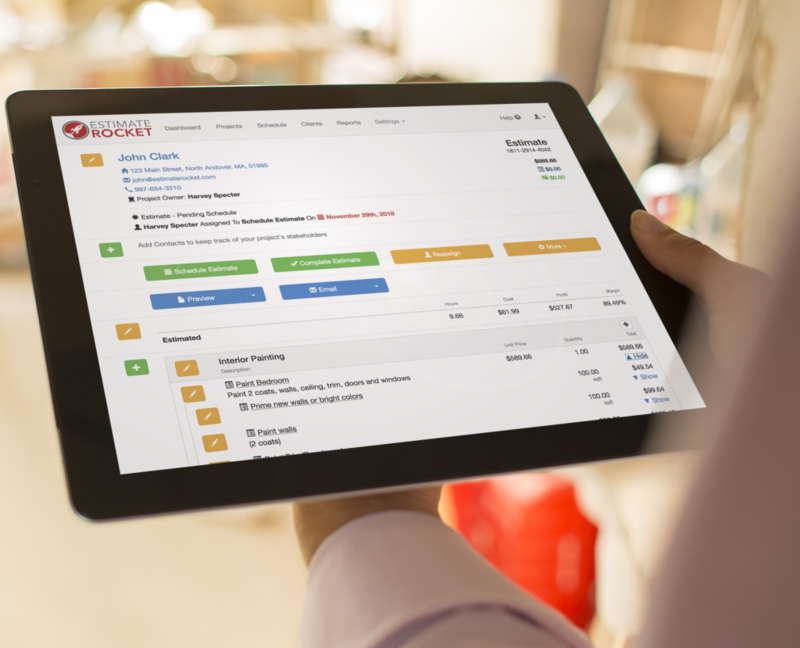 In addition, Workglue, a project management and field services software, allows him to upload schedules and estimates, and it also helps him track jobs and job costs. “It’s cloud-based, can be used in the field or office, and it syncs with multiple devices in real time,” he added. Workglue is a tremendous help with his scheduling, and brings the ability for him to check availability of crews weeks or months in advance, if needed.